Education is the key and Artecase is your guide. Our expertise in the design field, presence at the international fairs, relationships with the galleries and formal experience is how we help inform our clients looking to make design purchases. The design market is becoming formalized - auction prices sore, design fairs expand, companies like art.sy join in the design dialogue and clients tastes develop. Artecase is here to help clients decipher all of this information and make a confident purchase. 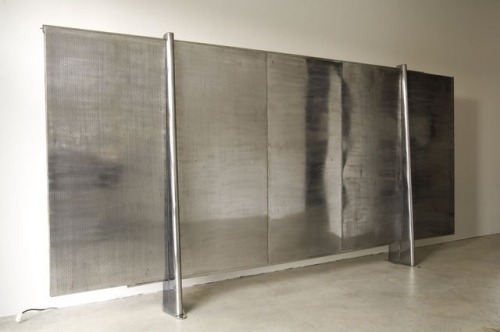 This steel screen by Jean Prouvé in 1959 is available to view now On Art.sy, which has partnered with Design Miami 2012 to showcase the 36 galleries in this years fair and give a preview of more than 450 of the works that will be on view starting Wednesday. You can take a peek now at art.sy at Design Miami.